Dream Eater Records returns with another burning hot plate of sought-after dubs from one the true pioneers of both dubstep and the grime scene. 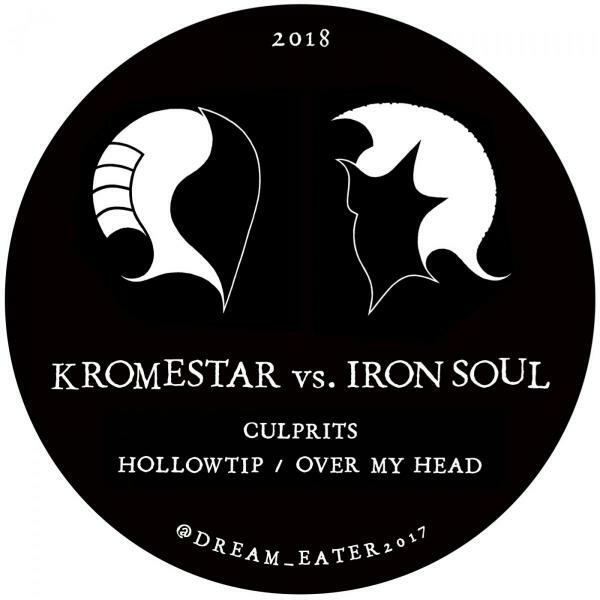 Kromestar vs. Iron Soul battle against each other for the first time on the same record. This one is not to be missed! A1: Kromestar - Culprits: A weighty and hypnotic dancefloor wrecker - Kromestar at his finest. B1: Iron Soul - Hollowtip: Everything you wanted from a oldschool grime beat. This one is a serious hitter in any set - everyone getss charged up when this hear this one drop! B2: Iron Soul - Over My Head: Returns to the softer side of grime, with classic chopped up vocals and a melodic bassline. If you are a fan of classic Iron Soul you will love this!